Seared king scallops (£14.50) were nicely cooked and accompanied by sweetcorn, a sweetcorn purée and a touch of black truffle. 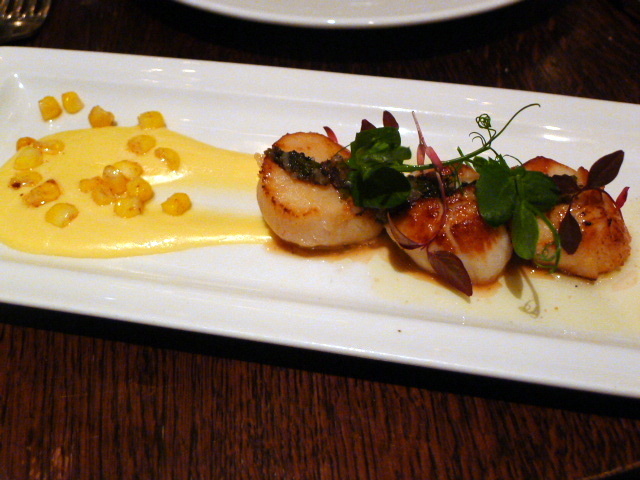 The sweetness of the corn was a wonderful match for the scallops, and although this dish was well executed, it was let down by the fact that the dish came out slightly cold. 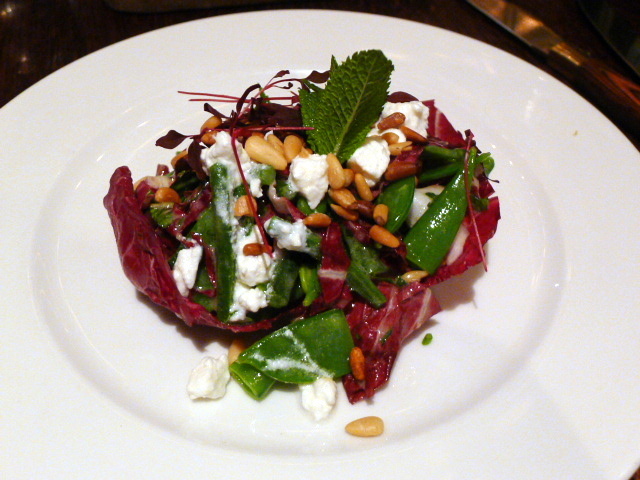 A salad of mangetout, beans and mint (£8.50) was topped with feta cheese and toasted pine nuts. The vegetables were wonderfully fresh, and the cooking of the mangetout and beans had been pleasingly done to still hold onto their bite. The dressing was tasty but a touch acidic. Venison ‘Wellington’ (£28) was not a wellington in the traditional sense but two pieces of seared venison perched on a thin layer of pasta. 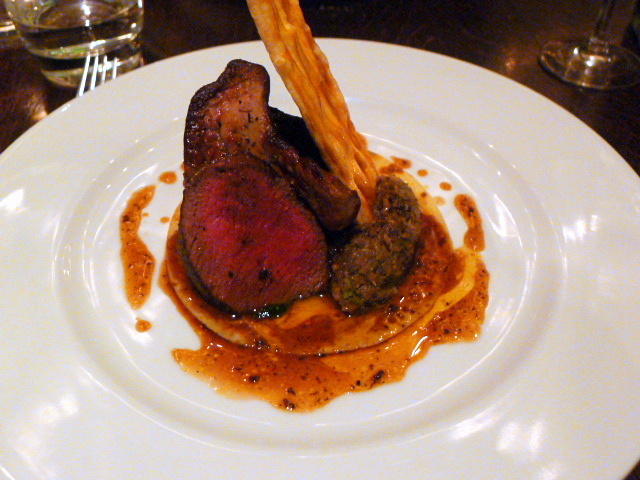 The venison was well cooked and superbly tender but didn’t quite have the gamiest of flavours. The pasta base was nice and thin and worked well in soaking up the deliciousness of the black truffle jus. An accompanying seared fried foie gras didn’t quite hit the high notes however as it didn’t have the rich fattiness that makes this one of my most favourite things to eat in the world. 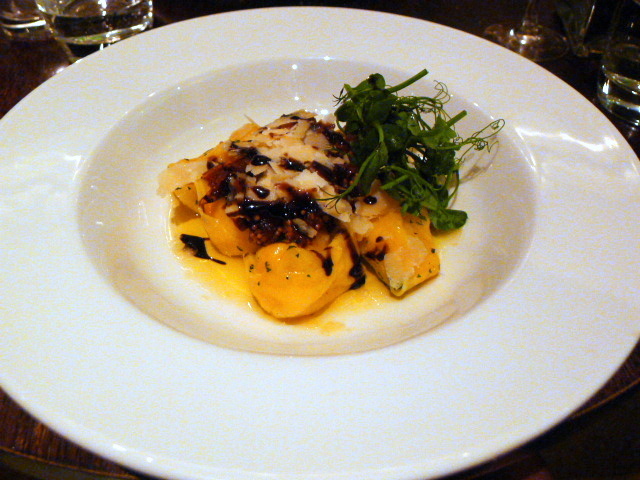 Tortellini (£15) parcels were plump with a generous creamy goat’s cheese filling. The pasta itself had an al dente bite to it, but it was also a touch too thick. A sauce vierge was nicely made, and to round off the dish were some sun-blushed tomatoes that added a very sharp contrast to the pasta. 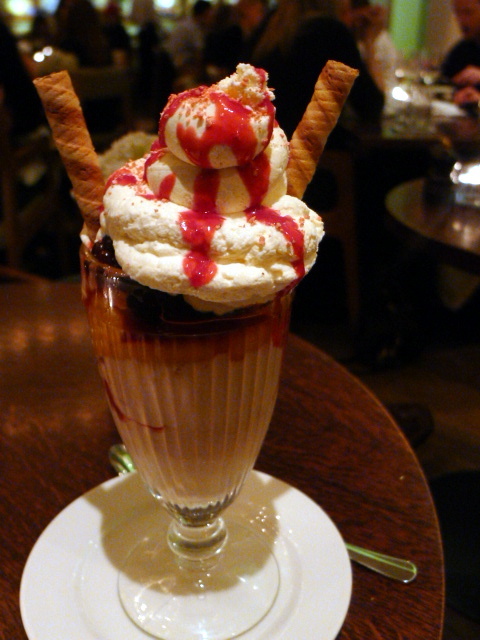 We chose a classic British knickerbocker glory with poached peaches, blackberries, raspberry coulis, strawberry ice cream (£8.50) as our dessert. It was generously sized with lots of chantilly cream and provided a lovely combination of flavours with the fruit being soft and sweet. But another dimension, for example some nuts, could have elevated the dessert further by providing it with a textural contrast. 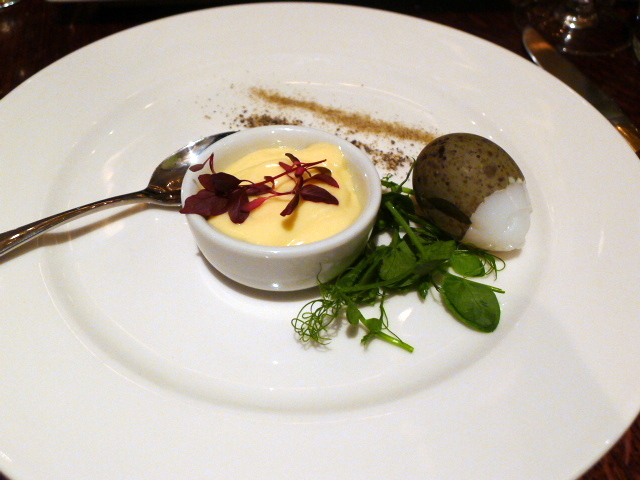 We found the food at The Botanist to be tasty and well prepared, albeit with a few minor glitches. Our waiter was wonderfully charming and the vibe was buzzy. But thankfully the restaurant was not too frenetic as it was a bank holiday weekend. The Botanist can sometimes be too busy (not a bad thing for a business! ), and this is something I’ve experienced before on previous visits to the bar. So depending on your propensity for busyness and how relaxed you want your dining experience to be, it might be wise to carefully choose the timing of when you visit The Botanist for a meal. Prices: £29 to £59 for three courses, excludes drinks and service.